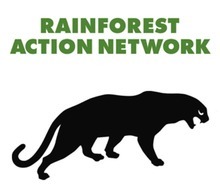 As global leaders head to Katowice to strengthen climate commitments at COP24, a briefing paper released today by Rainforest Action Network (RAN) and Fundacja Rozwój Tak – Odkrywki Nie (Foundation Development Yes – Open-Pit Mines No, or RT-ON) underscores the counterproductive role of major financial institutions like JPMorgan (Chase) to achieving the goals of the Paris Agreement. Chase is enabling the Polish coal industry to continue to grow even while other countries across Europe make commitments to phase out coal. The planned Ostrołęka C coal-fired power plant has attracted particular controversy. Chase, already the target of a growing international climate accountability campaign due to its role as the #1 U.S. banker of extreme fossil fuels, is supporting Ostrołęka C via financing for Energa, one of the two state-controlled companies behind the project. The Ostrołęka C power plant is projected to burn two million tons of coal per year from 2023 to 2063, emitting six million tons of CO2 annually and causing serious public health impacts. Last year, Chase underwrote a €300 million bond issuance for Energa at a time when Ostrołęka C was a key strategic project for the company, despite a Chase policy ruling out direct finance for new coal plants in OECD countries, including Poland. This bond issuance constituted the only private bank financing for either Energa or Enea since the adoption of the Paris climate agreement in 2015. Chase has been the target of widespread, escalating protests calling on the bank to end its massive financing of the most destructive and polluting forms of fossil fuels and to align its policies and practices with the 1.5 degree goal of the Paris Agreement. The October 2018 report from the IPCC has brought unprecedented attention to the urgency of limiting global warming to 1.5 degrees Celsius. To meet that goal, global carbon emissions would have to fall by about 45% below 2010 levels by 2030, reaching zero around 2050. New Coalswarm and Greenpeace analysis has shown that OECD countries — including Poland — must lead the way by ending coal power by 2030. By contrast, any new coal-fired power plants are flatly incompatible with limiting climate change to 1.5 degrees. These would drive expanded extraction, when potential emissions from currently operating coal, oil and gas reserves takes the world beyond 2°C, and emissions even from currently operating oil and gas alone takes the world past 1.5°C. Ostrołęka C is slated to be the last coal-fired power plant in Poland, and major international insurers have already stated that they will have nothing to do with the project. Chase has, to date, made no such commitment, and, on the contrary, appears to be committed to facilitating the construction of a climate-destructive coal plant in a tenuous financial situation.